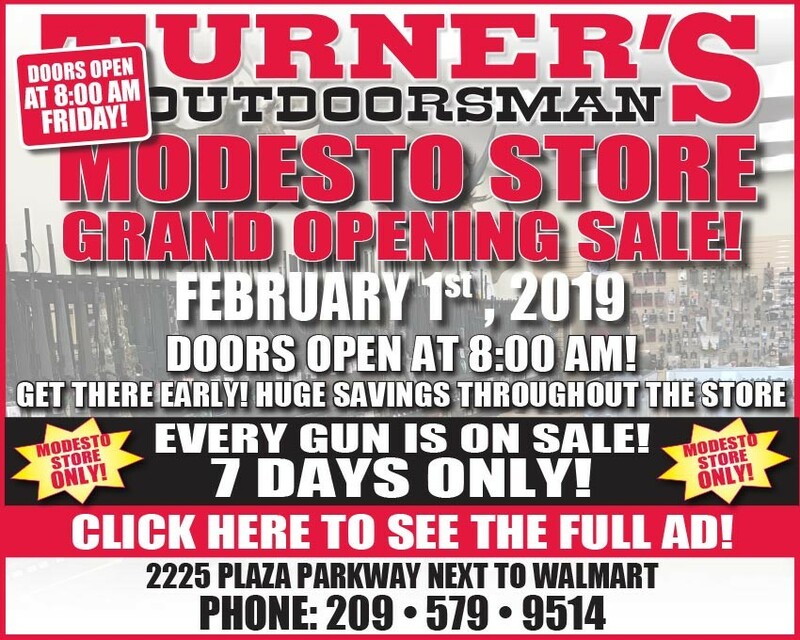 Don’t miss out on huge savings at the Grand Opening Sale at the new Modesto location of Turner’s Outdoorsman. 7 Days of savings! Check it out! Most Southern Californian outdoorsmen are familiar with Turner’sOutdoorsman, Southern California’s leading hunting, shooting, and fishing specialty stores. They began in 1971 as a single store in Long Beach. Turner’s Outdoorsman now has many stores located throughout California.